Live like a king in one of our distinctive King Rooms. Each room features a comfortable throne (er, chair), king bed with ultra-luxurious mattress, refined décor, and modern amenities. 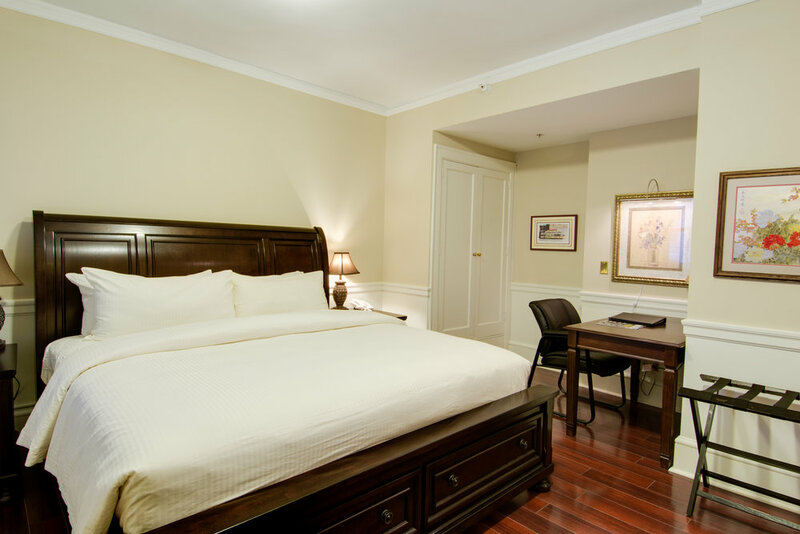 Some King Rooms feature a separate sitting room area—please inquire about availability.